The internet has connected the world arguably more than any technology before it in history, but it’s also divided us, throwing the cloak of anonymity over our communications and enabling us to hide our true intentions, ideologies, and identities behind a computer screen. Nowhere is this more true than on the dark web, the internet’s locked cellar door that rattles and rasps in the late hours of the night. Mention the dark web and imagery of a vast and nefarious underground network is summoned for many. It’s a den for creeps and criminals, digital boogiemen, and hackers in hoodies, all united only by their amorality and dark intentions. Okay, enough campfire-side ghost stories. Is all that about the dark web really true? Or are there some serious misconceptions about it that some of us in the cybersecurity industry pass along with a wink and a smile to drum up hype? To find out, threat analysts on Recorded Future’s research team, Insikt Group, spend time on the dark web and get to know the communities there a little better. 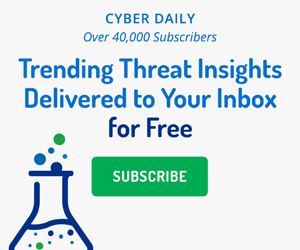 Cyber threat intelligence is all about getting the information and context you need to sort through threats, prioritize the most urgent ones, and respond to them as quickly as possible — and one of the best ways to do this is to get into the minds of your opponents, understanding their tactics, techniques, procedures, and motivations from the inside. So Who’s Really on the Dark Web? A basic human desire: be loved, admired, respected. Be of worth. This is the root of the ego, and if we can risk being overly reductive for the sake of brevity, the root motivation of everything we do. Turns out, cybercriminals are people too. That’s one of the things that Andrei Barysevich, director of advanced collection at Recorded Future, found when he spent time trying to get to know some of the regulars in certain dark web spaces he monitors. After spending some time on certain forums on the dark web, asking questions and getting to know the community, researchers at Recorded Future sometimes try cozying up to one of their new friends. In one case, our researchers asked to interview a more prominent hacker they had gotten to know, appealing to his ego in order to convince him to share his insights at the risk of saying anything incriminating. There are many motivations for crime, and thus many lenses through which criminals perceive themselves and justify their actions. Does the hungry beggar who pilfers bread from a shop see himself as a lowly thief, or someone doing what he needs to do to survive? Does the white-collar embezzler see herself as a selfish crook, or a clever businessperson who just happened to be in the right place at the right time? In reality, that’s not quite the case. Barysevich explains that many criminal forums, underground communities, marketplaces, and chat rooms predate the creation of Tor by years, and only some of them have migrated to Tor networks. To Barysevich, the “dark web,” in general, means it’s a space or community on the internet that’s “not readily accessible to regular people.” It includes sites that are not indexed by web crawlers like Google, which often means that you need to know the exact place where a site on the dark web is located and need to know people there who will vouch for you to get access. It’s because this definition could equally apply to what many people refer to as the “deep web” that Barysevich prefers to think of the dark web as the criminal underground. The differences between the deep and dark web are not so much technological as teleological — if you’re on a site that isn’t indexed or is otherwise hard to get to, you might just be on your company’s private network or a site behind a paywall. That’s run-of-the-mill deep web territory. If you’re in one of those hard-to-find kinds of places and you and everyone else there is also up to no good, you just might be on the dark web. The dark web is an outsize area of focus among many in the cybersecurity community, but misconceptions still pervade. Using threat intelligence to keep an eye on these spaces can provide essential context to prevent an attack or see who is talking about your organization. It’s threat data that you can’t find anywhere else. That’s why we wrote an e-book, “10 Things About the Dark Web You Probably Didn’t Know,” addressing many of these misconceptions and giving you a better picture of what’s really out there. It’s short and it’s free, so download your complimentary copy today. Mike Passaro demonstrates a workflow for the MITRE ATT&CK framework in Recorded Future that helps organizations uncover detailed insight into threat actors.